This three-story home in the Mission District hadn't aged well, needed a mandatory seismic retrofit, and no longer served the needs of its owners. Lejarraga Studio worked with the clients to divide the building into 5 multifamily housing units and to upgrade building systems as well as the overall look and feel. 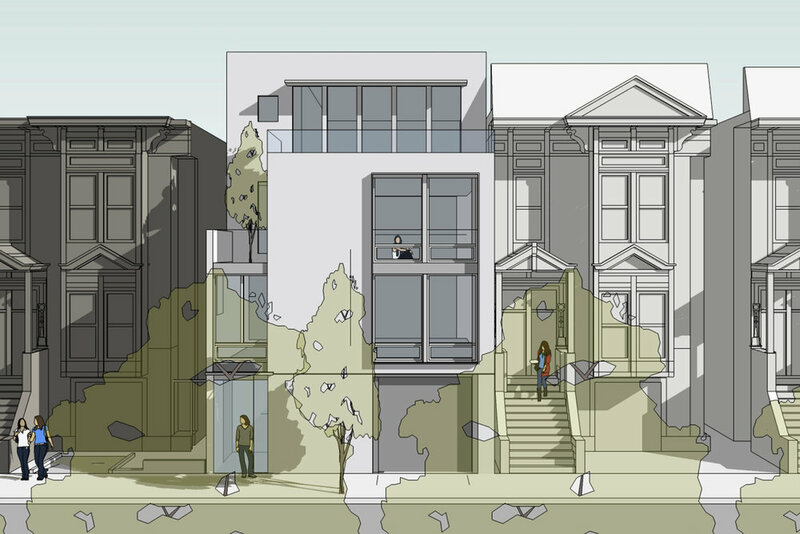 The renovation includes the addition of a fourth story with terraced setback. The design provides for increased daylighting and ventilation throughout with larger operable windows and open terraces on each floor. Building setbacks and pop outs more closely match the rhythm of neighboring Victorians than the original.